Will this piecemeal team prevail when a government operative is sent to investigate? As the threads of perception and reality become tangled and even time itself twists in unexpected directions, one warning remains clear: what you don't know can kill you. 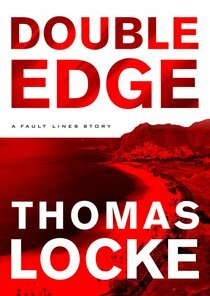 With a concept so daring and writing so gripping, readers will swiftly fall under the spell of Thomas Locke's endlessly creative mind. This thrilling psychological journey into the very nature of causation and consciousness will leave them turning the pages and grasping for solid ground. About "Double Edge (Ebook Short - Prequel) (Fault Lines Series)"
Davis Bunn is pseudonym used by T. Davis Bunn. Bunn was born in 1952 in North Carolina. He had a finance career that took him around the globe until his first novel, The Presence, was released in 1990. The book became a national bestseller. He has written under the names of Davis Bunn as well as Thomas Locke and Cameron Wolfe. Bunn is a much sought-after speaker for the art of writing and he serves as a Writer in Residence at Regent's Park College, Oxford University. Unavailable. Publication Cancelled eBook is Available. 0 Available.